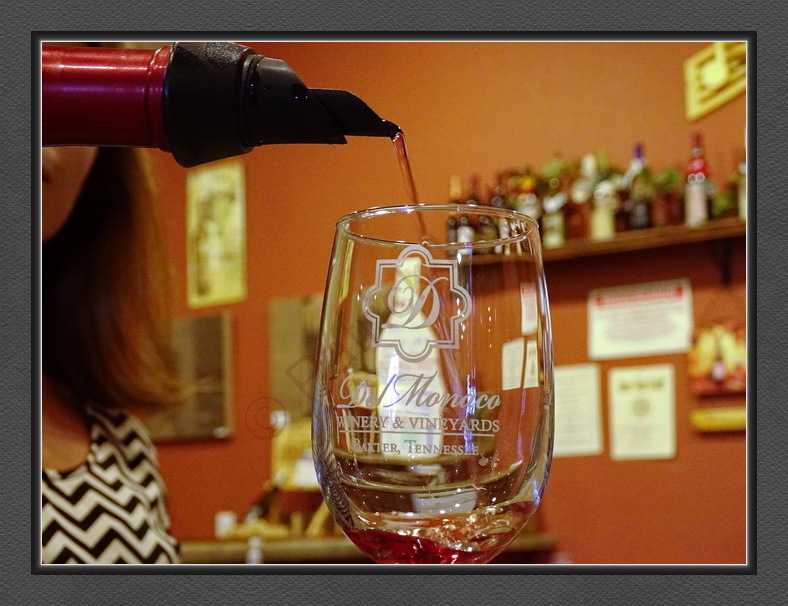 I stopped by Del Monaco Winery and vineyards the other day. The first thing I noticed as the grand Tuscan-style façade that greeted me when I stopped my car. 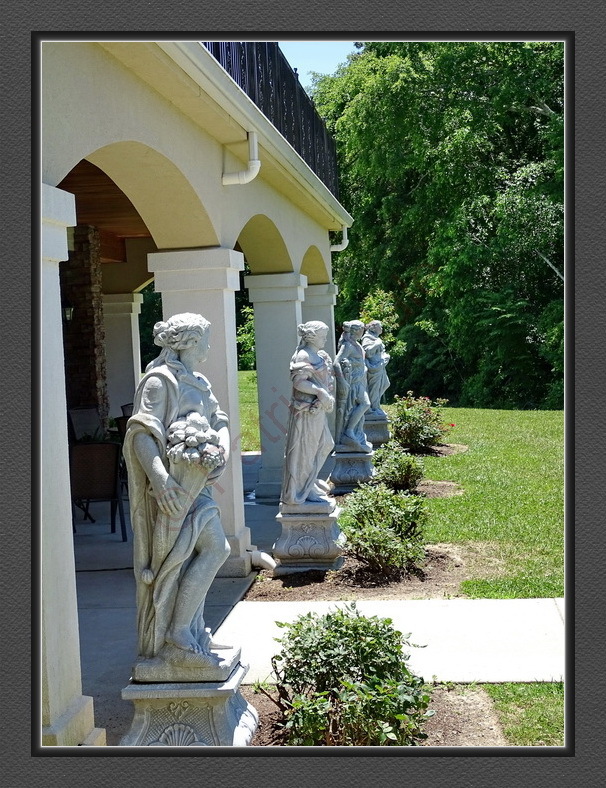 The winery boasts an impressive entrance with statuary. The first person to greet me when I stepped inside the main entrance was none other than Barbara DelMonaco. 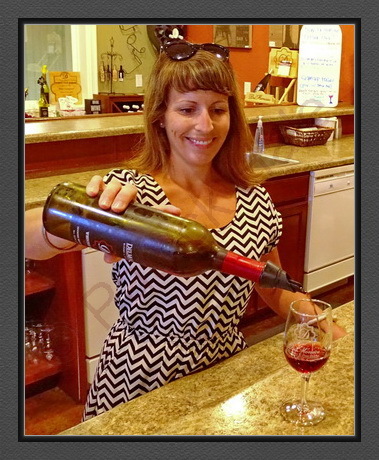 Barbara and her husband, David, are the understandably proud owners of the winery that bears their name. The day of my visit featured clear blue skies, low humidity, and sparkling sunshine. She declared that if anyone didn’t like wine tasting on such a glorious day, there was little she could do to improve on nature’s bounty. Barbara and Pam answe red my questions and then put me into the capable hands of Rachel Ziska. 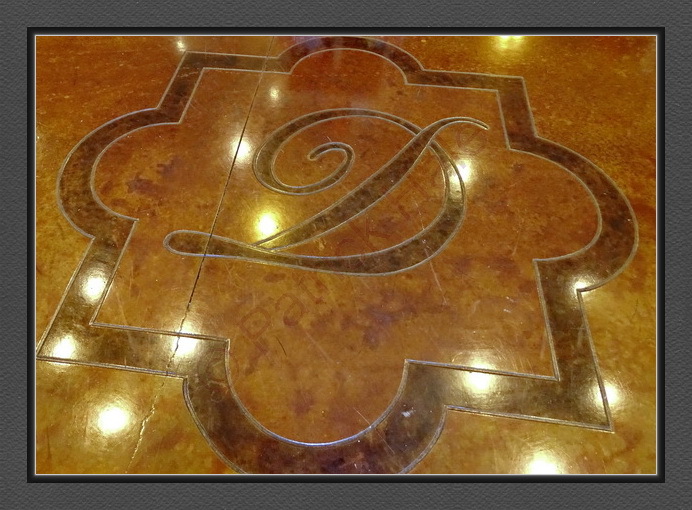 Barbara gave me carte blanche to wander the grounds and take photos of anything that caught my eye. I took her up on her kindness and hope that the pictures included here do justice to the spectacular grounds of the DelMonaco Winery. 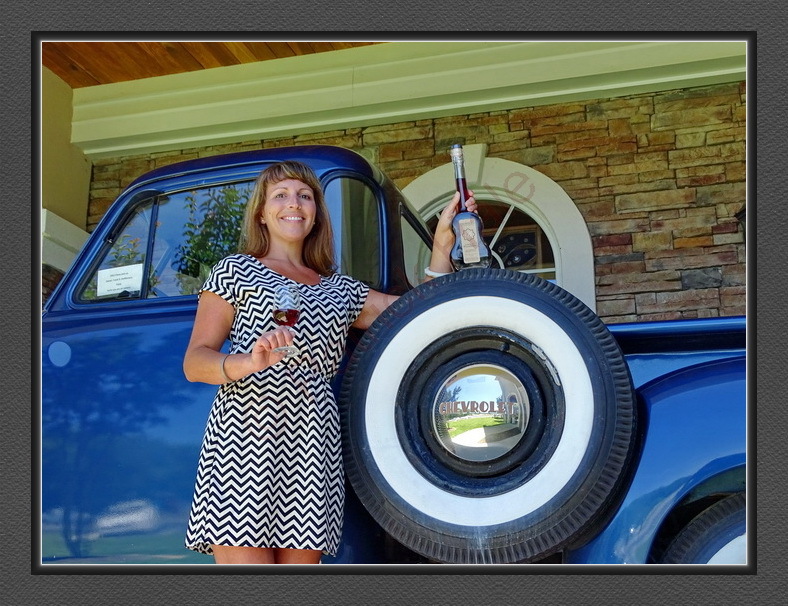 Rachel was gracious enough to pose with a distinctive guitar-shaped bottle (it contained a fortified wine-usually wine with brandy added to increase the alcohol content) in front of the DelMonaco’s prized 1953 Chevrolet pickup. The truck looks to be in mint condition, but I didn’t open the hood and look around to see if the mechanicals were as well restored as the body. Regardless, it’s not every day you see a collectible truck on a wine estate. 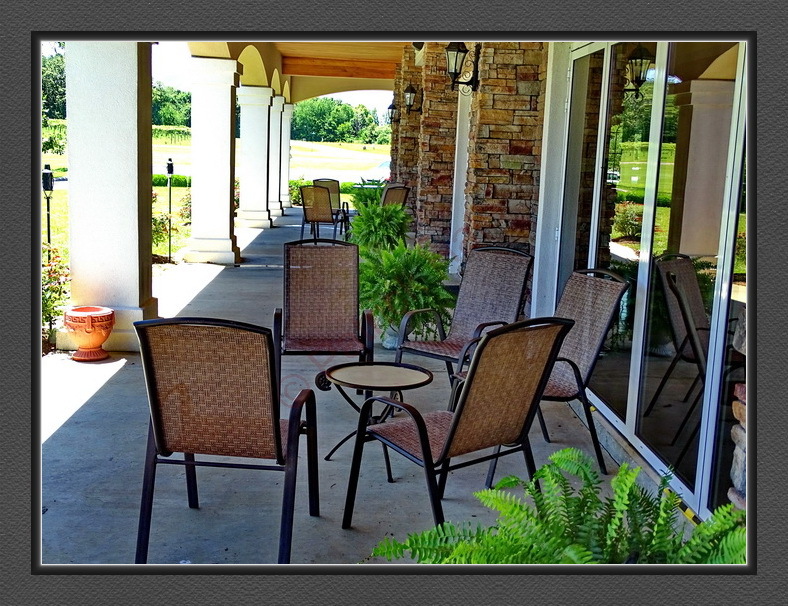 The winery has nice seating in a number of locations that let you loo k out at the vineyards. 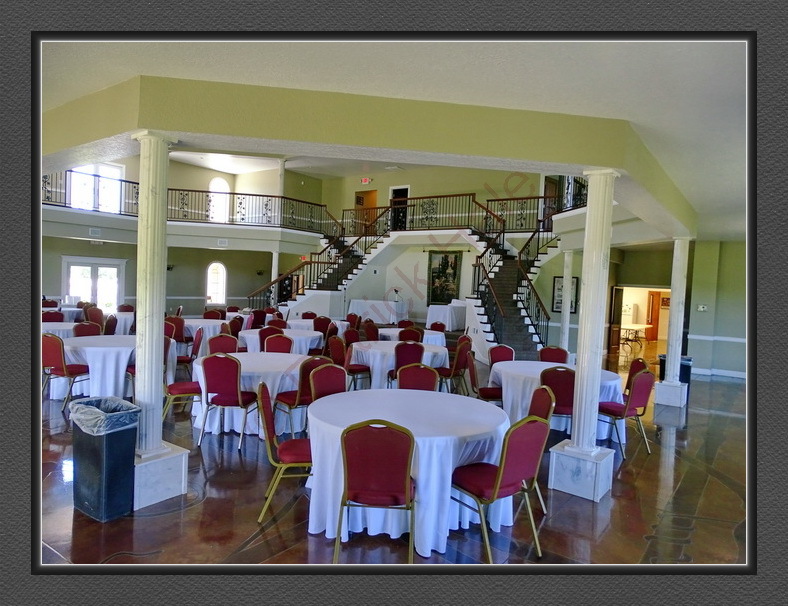 It also has the ability to host a private meeting in a large ballroom/dining/meeting room. I don’t know what the lead time is to reserve these facilities, but I’m sure the people at the winery would be more than happy to answer all the questions you might have if you’re interested in using their facilities. DelMonaco’s is the only winery east of California’s Napa Valley that hosts a Wine Train and Excursion on a scheduled basis. If you’d like more information on the schedule and route, a quick call or visit to their website will provide you with answers to your questions. 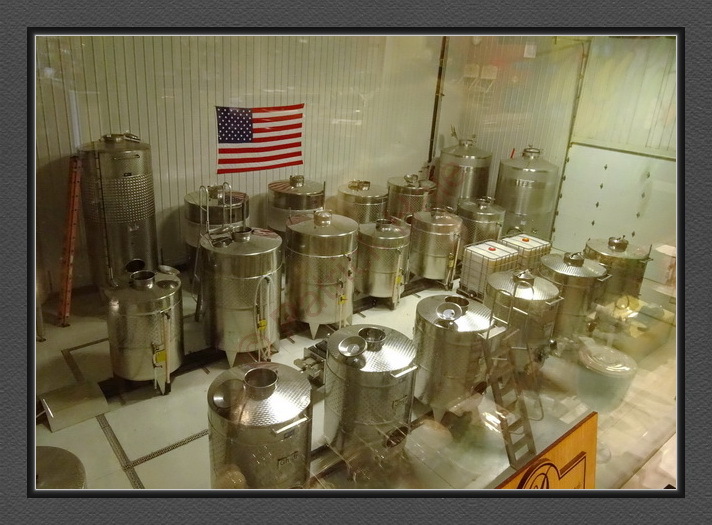 DelMonaco opened its current facility in 2008. I wasn’t in the area to see the opening day festivities, but I’m sure they’d be happy to tell you stories from their beginning to the present. David and Barbara DelMonaco are justifiably proud of their winery and it shows in the way in which the grounds are kept and visitors are treated. 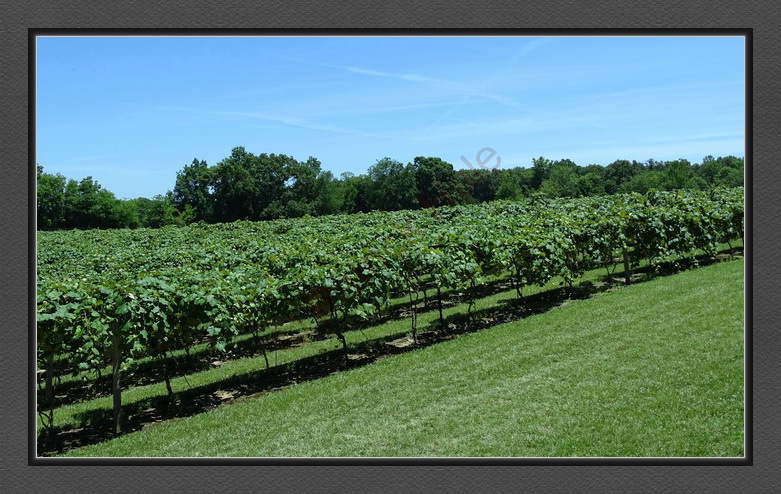 The winery includes 52 acres with a little over 20 in production. The wines produced include Riesling, Merlot, Concord, Whistle Stop Red, Southern Rose, Gewurztraminer, Sweet Whisper Peach, Muscadine, Blackberry, Jammin’ Blackberry, Dulce Nectar Morado (Sweet Purple Nectar), and Vivance. They also grow grapes varietals such as Niagara, Concord, Traminette, Steuben, Cynthiara, Foch, Chardonnel, Noiret, and Catawba. They grow their grapes on site and once you see the neatly maintained vineyards, you’ll understand the dedication and effort they put into their wines. 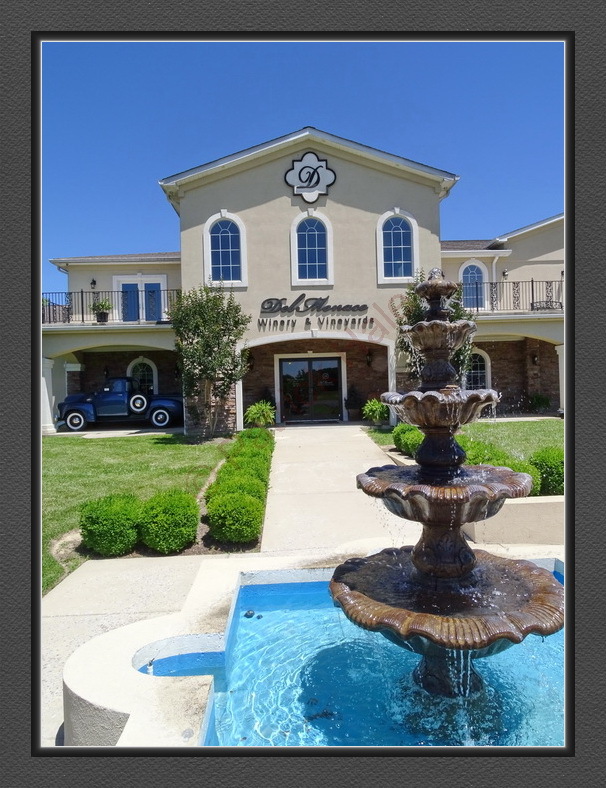 If you’re looking for a beautiful winery that produces award-winning wines, you’ll find both at the DelMonaco Winery and Vineyards. 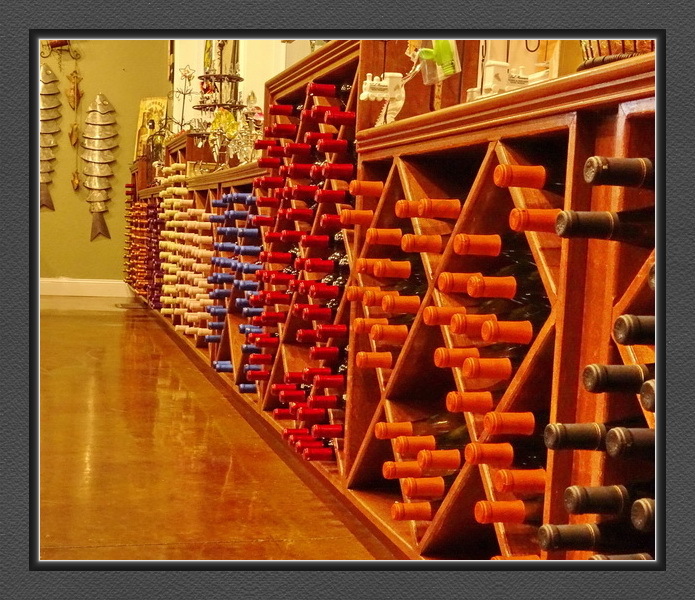 You can contact DelMonaco Winery at 931.858.1177. 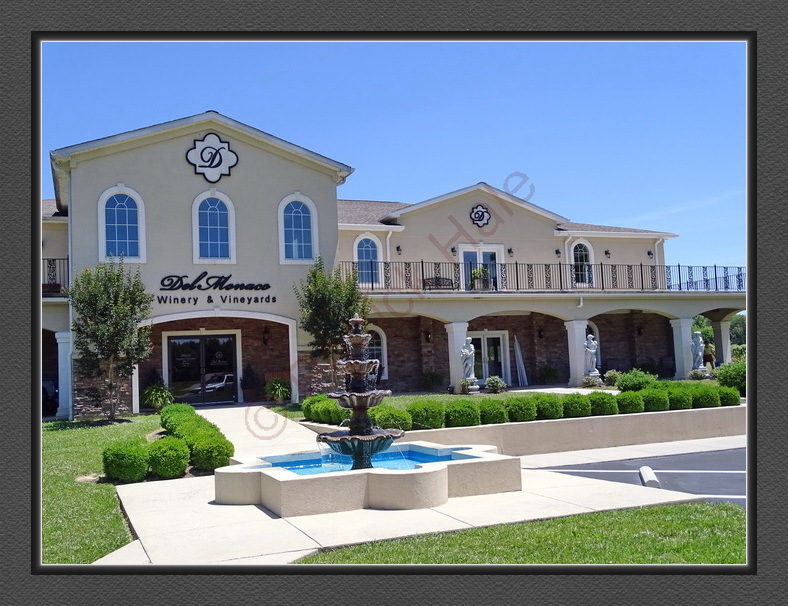 Their website is www.delmonacowinery.com. 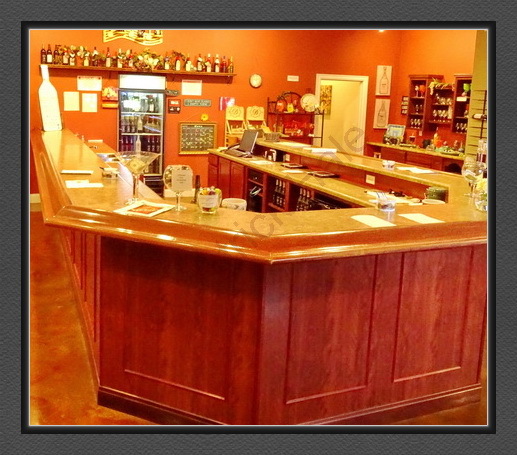 They’re located at 600 Lance Drive in Baxter, Tennessee 38544. If you’d like a treat, stop by. I doubt you’ll be disappointed.